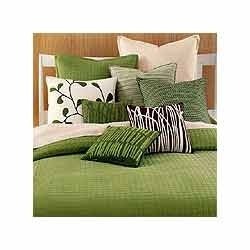 We offer a comprehensive range of plain quilt and plain pattern quilt available in various designs and styles. These quilts are made from quality fabrics and are durable. We are offering a wide range of Plain Cotton Quilts. With long years of working in this realm, we are engaged in offering most appreciated collection of Plain Quilts. These quilts are warm and very stylish in design. These quilts are fabricated using best quality cotton and latest machines as per latest market trends. These quilts are provided in various patterns and at cost effective rates. 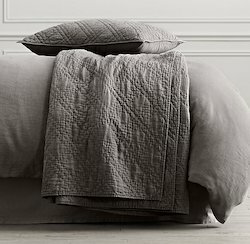 Relax in total comfort with this casual quilt. 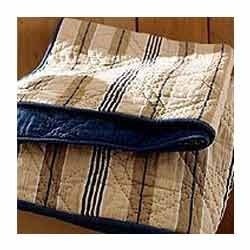 Printed denim quilt reverses to khaki and navy wide stripes. Years of experience of this domain, has helped us in presenting our customers with the premium quality of Striped Plain Quilt. Its alluring design, vibrant color combinations, skin friendliness and optimum colorfastness, make the striped plain quilt highly demanded. In order to design the striped plain quilt, we make use of high grade woolen fabric. Accent your room with these charming reversible linens. Choose pink (shown), green, yellow, blue, or taupe (see all colors below). Channel-stitched stripes reverse to checks. 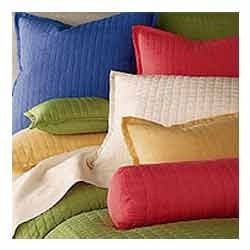 As a recognized firm in the market, we are engaged in offering high quality assortment of Plain Quilts. 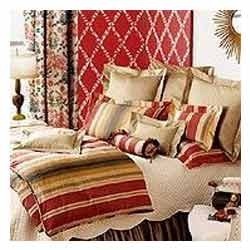 These plain quilts are appreciated for elegant design and long lasting. Known for softness and fine finish, these products are available in several colors and sizes to cater the varied demands of our patrons. Moreover, latest tools and machines are employed for fabricating these products at par with global standards. Solid hits lightweight quilted linens in a variety of summer bright hues. (blue/purple), coral, buttercup (yellow), ivory, and (not shown) latte. Silk charmeuse sheeting, choose ivory (shown) or latte. Keeping in mind the current market trends, we are providing best range of Multicolor Plain Quilts. These quilts are soft and designed by our experts with the use of best quality fabrics and advanced machines. Well known for beautiful design and smooth texture, these quilts are highly appreciated by our customers. Create a fresh setting with an emphasis on fun with silk linens and fabulous accessories. • Choose (see below; clockwise as shown from front to back) jade (shown), spice, buttercup, ivory, latte, periwinkle, or espresso. • Quilted silk coverlets and shams. • Sheeting, in ivory; silk. • Silk linens, machine wash. Looking for Plain Quilts ?